In an epidemic of loneliness, celebrate the role of the Jewish burial society – J. Though as a rabbi I have officiated at several funerals, I have only once had the merit of serving on a chevra kadisha. It was a happenstance of meeting a mother named Shalva during Tot Shabbat services at our shul in Berkeley. She had two toddlers the same ages as my sons, and we soon became friends. When Shalva was diagnosed with metastatic breast cancer, our community was devastated. Not knowing how else to help, my friend Rachel Brodie and I began to organize monthly Rosh Hodesh healing circles and invited friends to join Shalva for prayers. As her illness progressed, dozens and dozens of women joined, crowding the living room each new moon with music and friendship, a loving community revved into supermom mitzvah mode with signup sheets for meals and child care. A year later, I moved across the country, sadly leaving this caring circle of friends. The Rosh Hodesh group continued in Berkeley. One day I got the call that Shalva’s end was near. I flew all day. Just after I landed in San Francisco, she died. 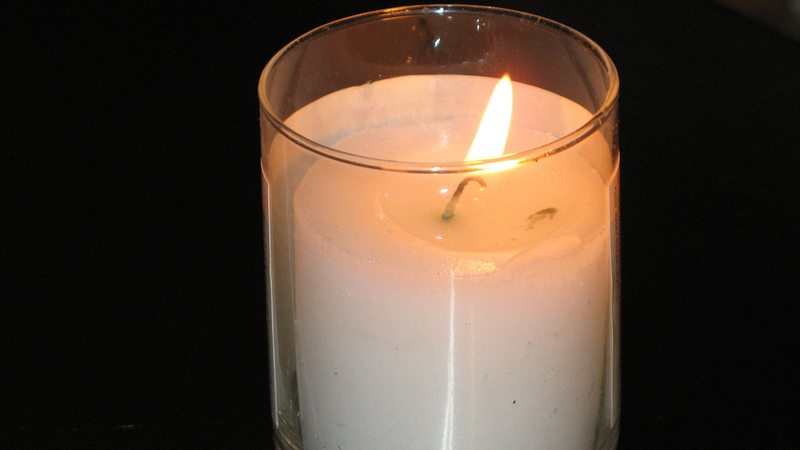 As her shomer (guardian) that night in the funeral home, I sat with her body and sang her the prayers we had sung together, until the next morning when a group of women arrived — the chevra kadisha. They invited me to join them, and I witnessed a whole new dimension of loving community, super supermoms: silent, intense, immersed in a timeless task of devotion, birthing her soul back to its source. I haven’t shared this story with others before today, even in this era of Facebook and self-promotion, because the chevra kadisha does its work with sacred humility, usually without recognition. But on the 7th of Adar (this year Feb. 12), chevra kadisha groups gather around the world for Zayin Adar, a holiday that very few Jews even know is on our Jewish calendar. It is an auspicious day to reflect on the sense of awe and gratitude I felt participating in such a profound mitzvah for my friend. And it is also an important time for our community to publicly acknowledge the work done throughout the year by members of our community, ensuring that the needs of the departed are taken care of with respect and sensitivity and that the mourners are comforted, creating meaning to dignify death. Why is Zayin Adar picked as the date for this occasion? It is considered both the birthday and yarzheit of Moshe Rebeinu, Moses, our teacher, who taught us all by example the importance of ensuring an honorable burial. When the Jewish people left Egypt, all the Jews were busy gathering riches from the Egyptians. All except for Moshe, who with the help of Serah, the daughter of Asher, retrieved the hidden coffin of his ancestor Josef, to carry his bones to the land of Israel for burial. It is curious that Moses is considered the inspiration for the chevra kadisha. At the end of the Torah we read that Moses died on Mount Nebo. No one was there. According to one opinion in the Talmud, Moses buried himself! And no one knows his burial place to this day (34:6). What do you think this teaches — the fact that he died all alone? Thinking about Moses in this light, I see a particularly profound face of loneliness. In a recent large-scale survey by the health care provider Cigna, the “loneliness index,” results showed that America is suffering an epidemic of loneliness. Most respondents report strong feelings of loneliness and a lack of significance in their relationships. Nearly half say they sometimes or always feel alone or left out. Thirteen percent say that zero people know them well. The survey shows that loneliness is worse in each successive generation. With the escalation of screen time and the transience and mobility of our economy, people have far fewer meaningful interactions, let alone committed and intimate connections. This epidemic of loneliness is urgent and dangerous for our society. In the story of the creation of the world, Adam stands alone in the Garden of Eden. Anywhere, even in paradise, in the beautiful city of San Francisco, we sometimes suffer feelings of loneliness. We might even believe that the fundamental nature of a human being is existentially alone. The lone ranger type of leadership. The solo expedition into the wild. The brilliant high-tech mogul billionaire. These are archetypal models of paramount and singular success. And, of course, solitude provides a fertile field for the imagination. At death, our final accounting, each one of us is held responsible for mitzvahs we alone have ignored, which hopefully are outweighed by the many deeds done lovingly. In the Garden of Eden, God responds to this lonely plight of man, “It is not good for a person to be alone” (Genesis 2:18), and creates a mate, Chava. Her name means life. And so we learn that the nature of humanity is truly not one of isolation, but of interdependence. This is the quintessential truth of the “chevra” in chevra kadisha. Chevra means community, and our burial societies bring loving community to the loneliness of death: singing healing psalms in a circle of friends, silent waking watch as a soul departs, holding and comforting an inconsolable mourner. And what about the kadisha? The holiness? Returning to our story of creation, our mystical tradition teaches that before the world was created, God was all, all was God. In the contraction of God to create the world, a separateness was born, and with it, the immeasurable loneliness of God. In the Feb. 9 Torah portion Terumah, we read that God instructed Moshe “asu li mikdash v’shachanti b’tocham, the people shall make a mikdash, a holy place, for me and I will dwell among them.” God’s presence is unlimited, so why build one contained place for God’s rest? Is it because the people need a focus of their devotion, a reminder of God’s holiness in the world? Or maybe, as Rabbi Abraham Joshua Heschel teaches, God is in search of man. God is lonely, and wants to dwell amid a chevra kadisha — a holy community, made possible only through the generous contributions of loving caretakers for the needs of humanity. 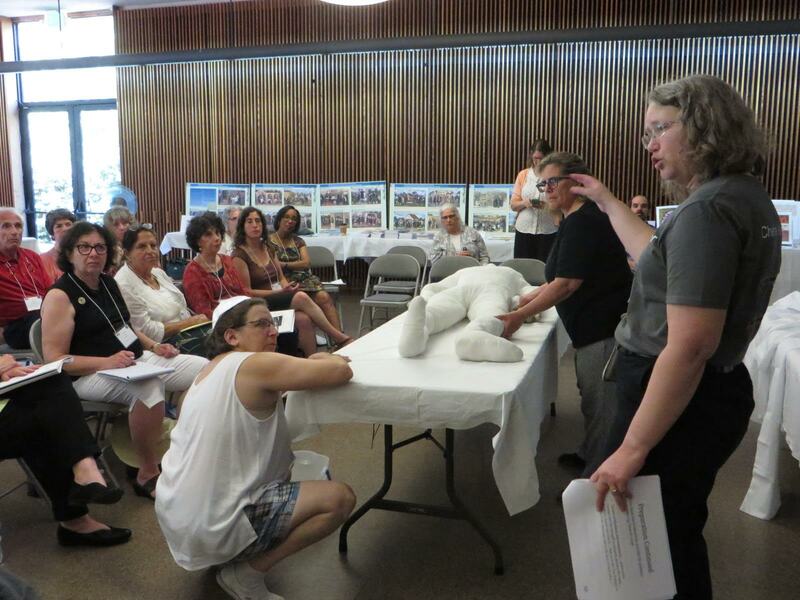 And so, on behalf of the Bay Area Jewish community, we publicly and proudly thank the chevra kadisha burial societies for being God’s partners and presence in the world. May their terumot — gifts and contributions — continue to bring healing holiness to our community, and invite God to dwell among us. Rabbi Serena Eisenberg is the Northern California director of the global Jewish advocacy organization AJC.